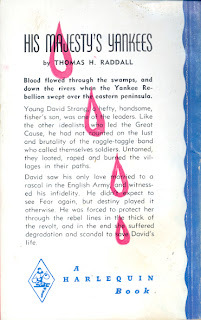 Canadian author Thomas H. Raddall's third Harlequin edition is His Majesty's Yankees, his first novel, published in 1942 (Toronto: McClelland & Stewart). Even at 320 pages, like the second, the third is silently abridged. 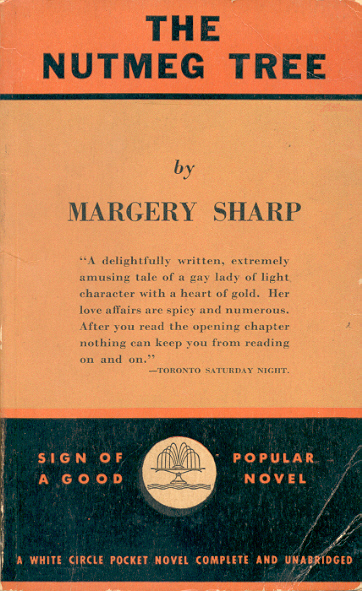 The Popular edition below is some 40% longer than the Harlequin. 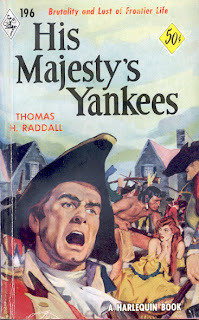 It isn't dated but the young miss looks 1960s rather than 1760s and the flag on the cover puts it after 1965. 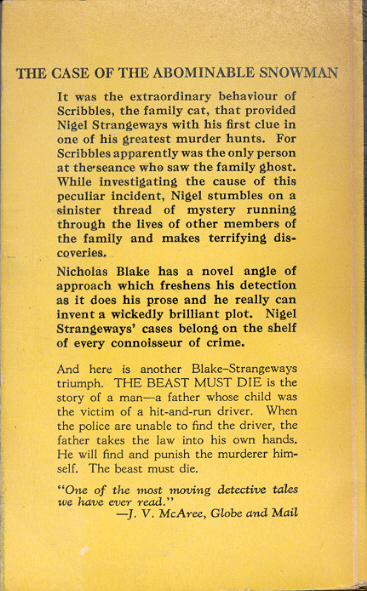 The back cover blurb ("FIRST TIME IN PAPERBACK") is wrong but it may be the first unabridged paperback edition. 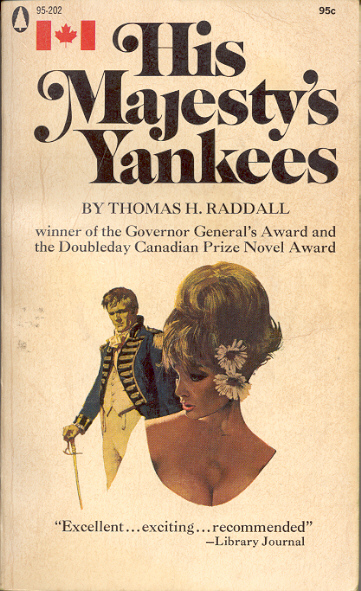 The 38 titles shared by Harlequin and Quinn (Handi-Book imprint) had 76 covers - 30 sets are different, two similar and six identical. 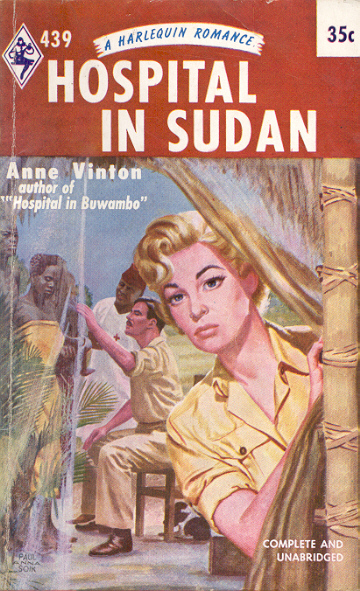 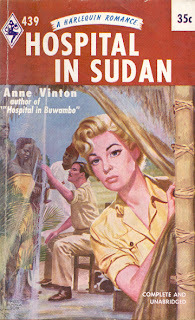 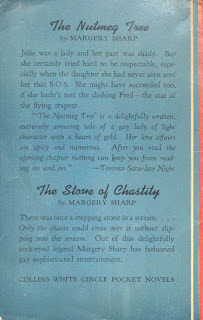 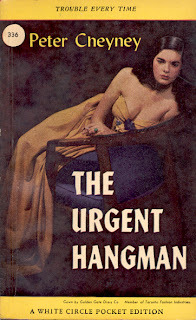 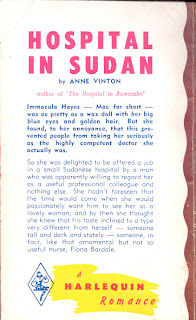 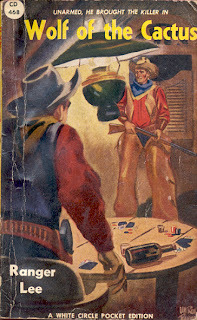 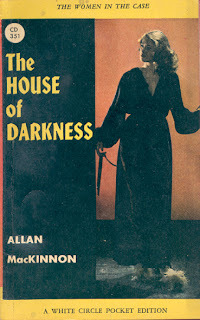 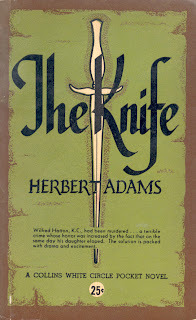 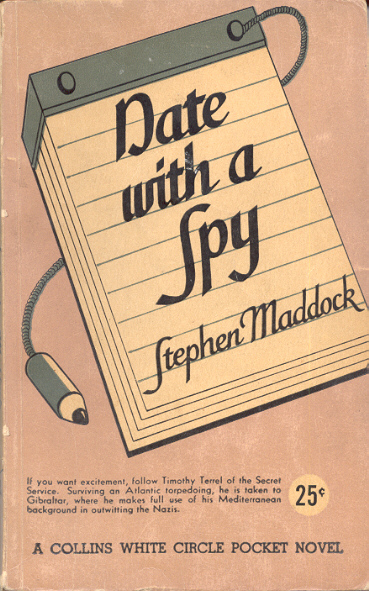 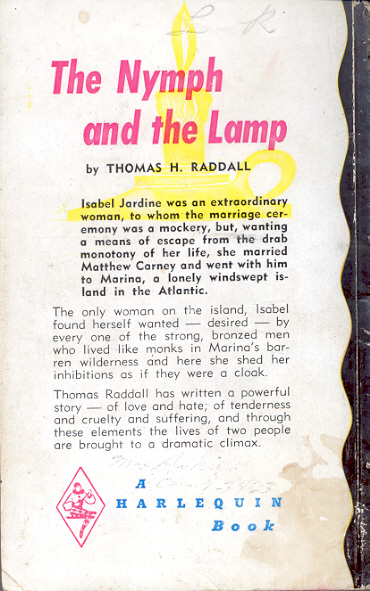 The first sixty or so Handi-Books have distinctive covers different from Harlequin and other mass market publishers of the time. Here is one set with an example of these early covers plus a set with a later Quinn offering. 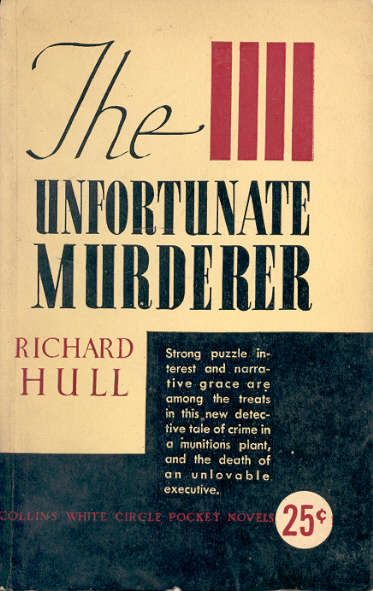 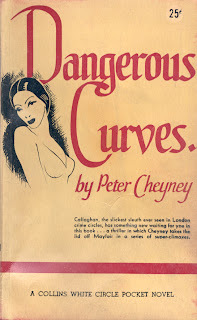 Continuing on from part III here are five more examples of early 1943 covers from the White Circle paperback line. 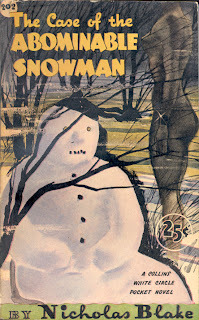 All showing a sophisticated designer that might be famed Canadian painter Franklin Carmichael. 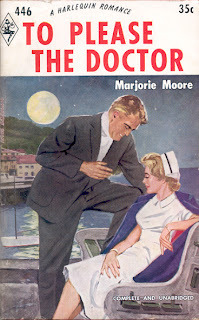 The first set of McClelland & Stewart's reprint paperback series New Canadian Library ran from 1958 to 1978 - a total of 152 titles. 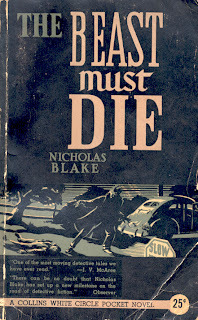 Today 54 remain in the NCL series according to the M&S web site. 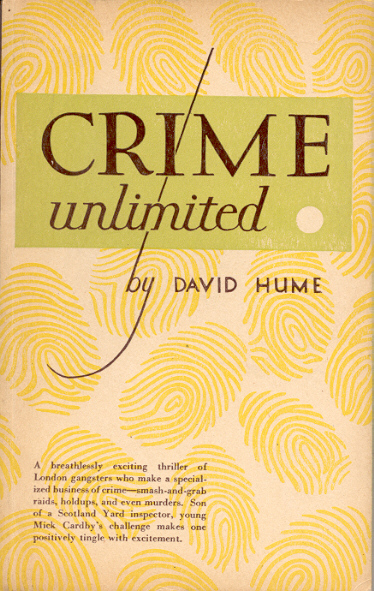 The original number and introduction are gone and, for a few titles, an unabridged version has replaced an abridged. 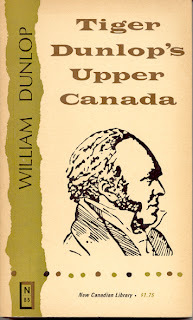 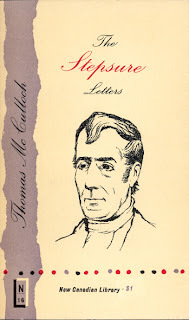 Two titles that have not survived are The Stepsure Letters and Tiger Dunlop's Upper Canada. 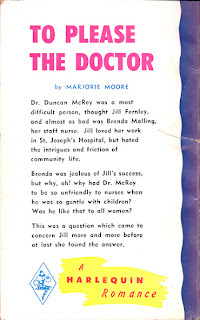 Janet Friskney's New Canadian Library (University of Toronto, 2007) helps explain why. 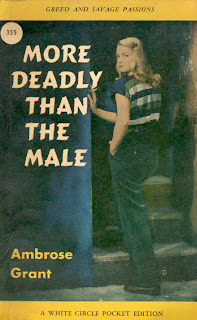 She has a table of the unit sales for each book from 1958 to 1979. 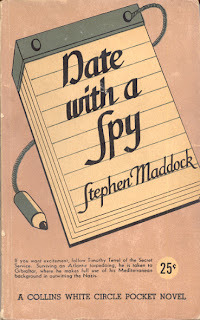 There are 73 books with 10 or more years of sales data. 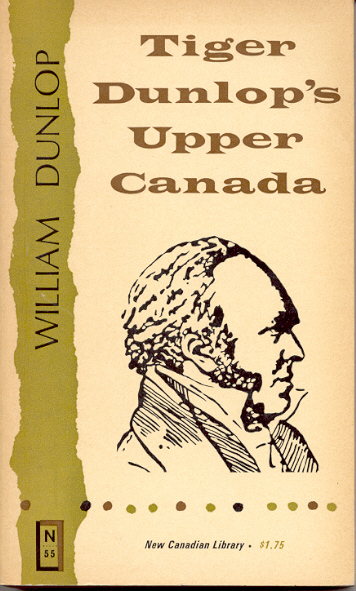 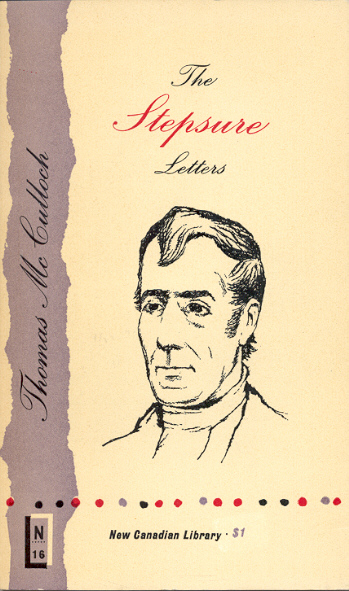 Eight of the books averaged sales of less than 500 copies a year, including The Stepsure Letters and Tiger Dunlop's Upper Canada. 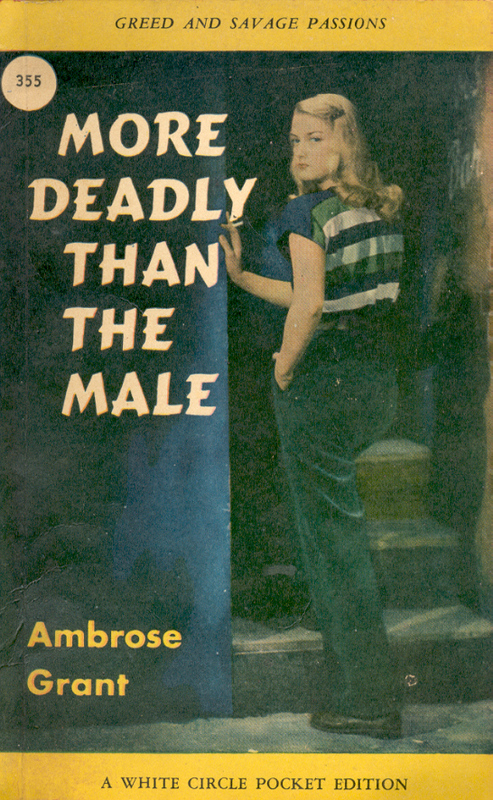 The other six are also no longer in print. I'm not surprised at the low sales as both books look unappealing (the back cover blurbs are no help) but The Stepsure Letters does have an introduction by Northrop Frye that makes the book worth finding. 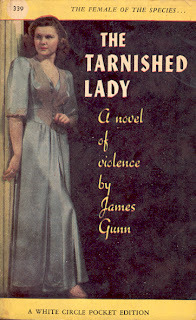 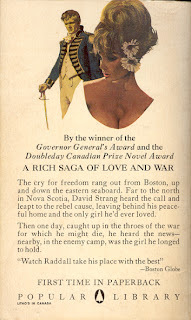 In part II I introduced the idea that Group of Seven member Franklin Carmichael designed White Circle paperbacks in 1943. 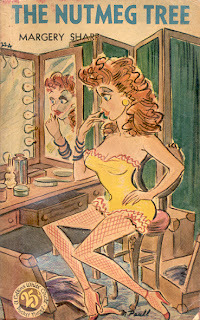 When Wm. 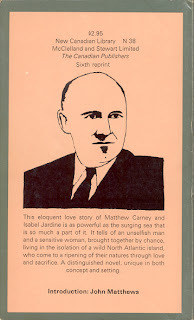 Collins Sons & Co, Canada started the White Circle imprint in 1942 they modeled the covers on the parent company's White Circle line in the UK. Starting with the 1943 issues illustrated covers replaced these uninspired efforts. 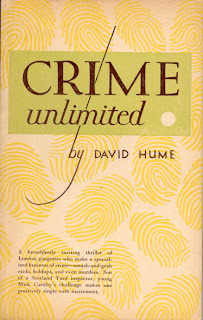 The 32 books published in the first half of 1943 (51-72 and 101-110) have a level of design that, it seems to me, could only have come from a very talented hand. 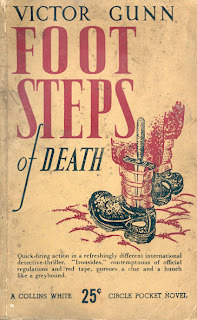 Carmichael did design at least three hard covers for Collins in the mid 1940s. He was also responsible for the hiring of the artist who started handling the covers in the last half of 1943 - Margaret Paull. Carmichael joined the Sampson-Matthews firm in 1922, probably as head designer under the art directorship of J.E. Sampson. Among his projects at Sampson-Matthews, Carmichael worked on the illustration and design of a number of promotional brochures as well as advertisements for newspapers and magazines. 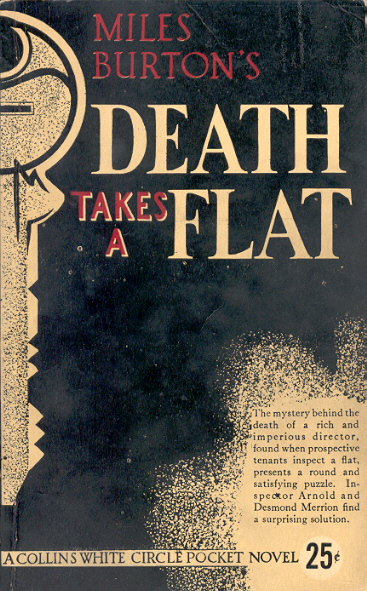 In step with the fashions of the times, his work increasingly reflected the flat, simplified design popular in the 1920s. 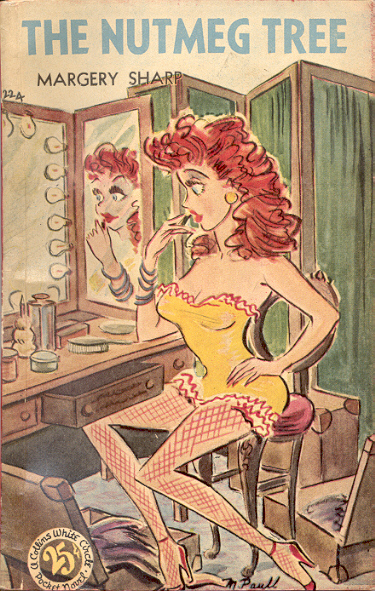 In the 1920s Carmichael also created illustrations for stories, mostly in magazines. 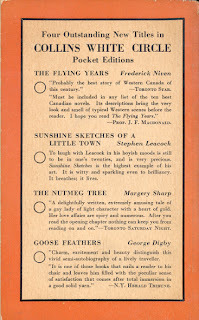 The distinctive commercial art of Franklin Carmichael is among the finest examples of design work by the Group of Seven. 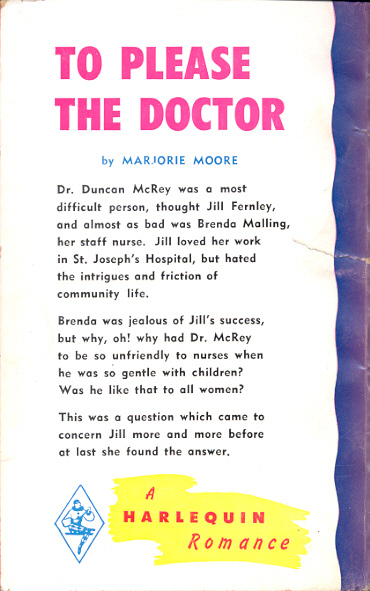 Here are four more examples. 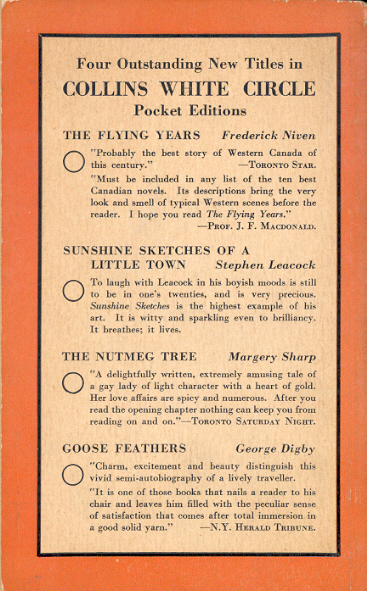 Twenty-two of the 50 titles published in 1942 by Wm Collins Sons & Co. Canada in the White Circle imprint were reprinted with new numbers in the series. 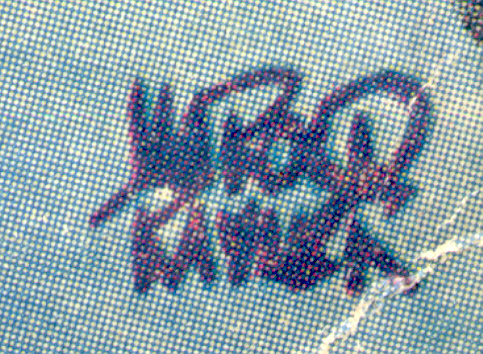 Eight of the new numbers were also reprinted. One example is The Nutmeg Tree first published in 1937 (London: Arthur Barker). 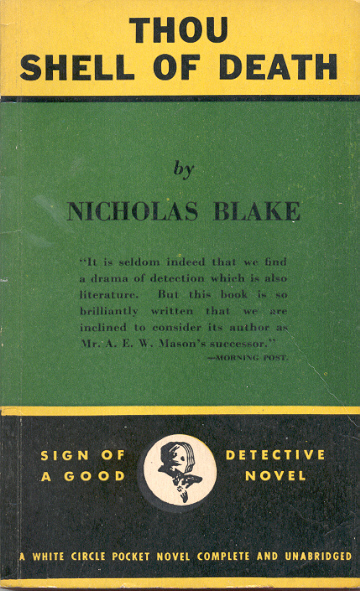 The second printing states "REPRINTED 1945", the third printing "REPRINTED 1946". 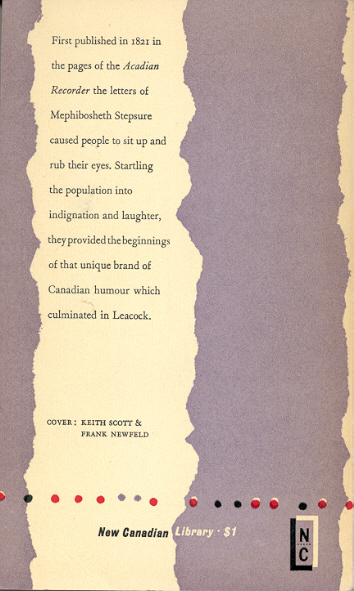 All printings state "COPYRIGHT CANADA 1942". 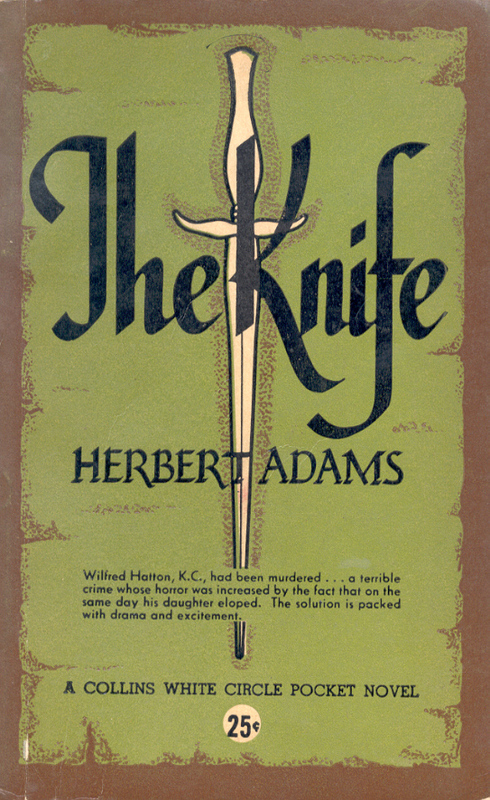 The second and third printings are identical except for slight colour differences in the covers. 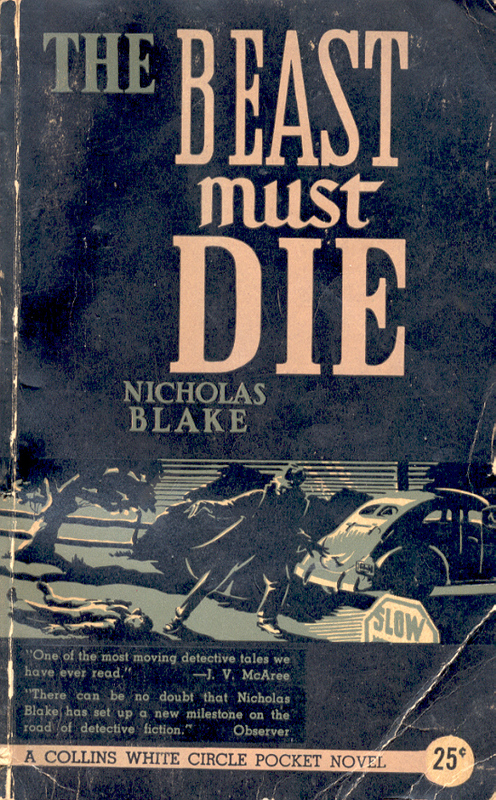 This May Vintage is publishing the 16 books in Nicholas Blake's Nigel Strangeways crime series - the first four as trade paperbacks, the last 12 as POD (hiss, boo). 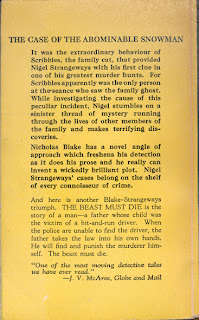 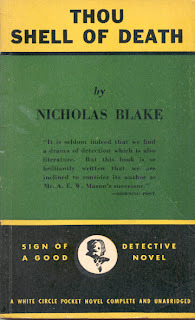 Blake was Cecil Day-Lewis (1904-1972) and the Strangeways series ran from 1935 to 1966. All the books were first published by Wm. 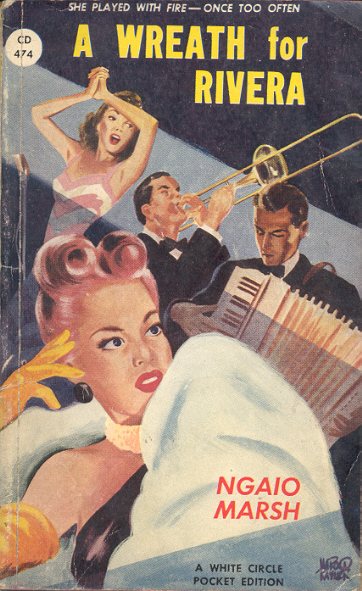 Collins Sons & Co in the UK. 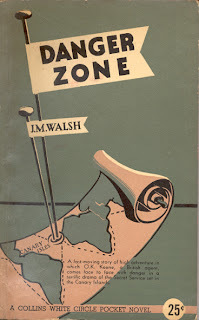 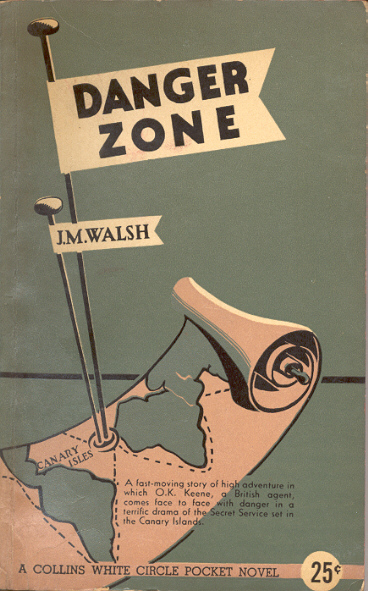 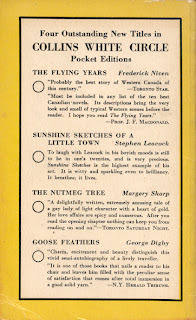 The Collins Canadian subsidiary published in its White Circle imprint seven of the nine books that came out before 1950 . 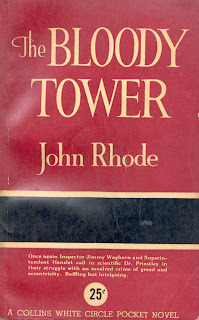 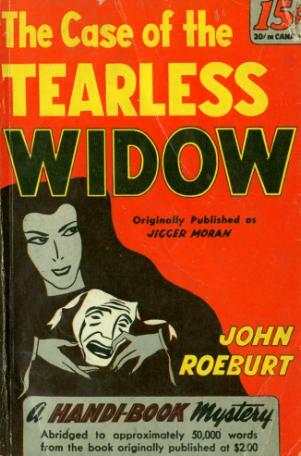 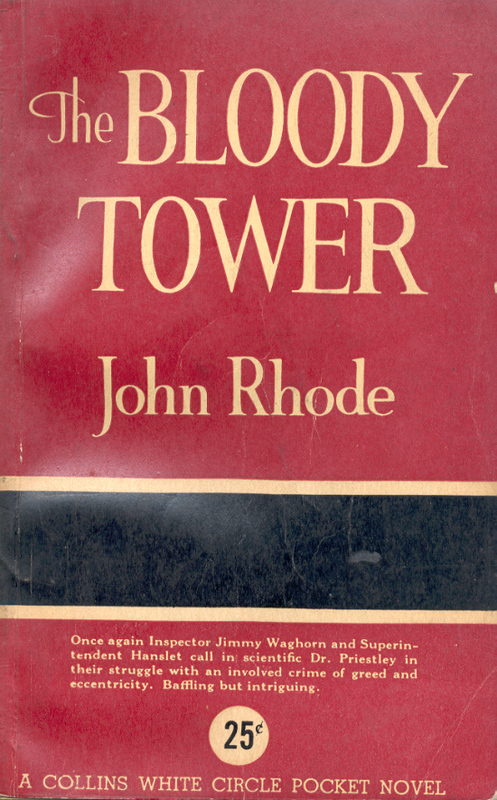 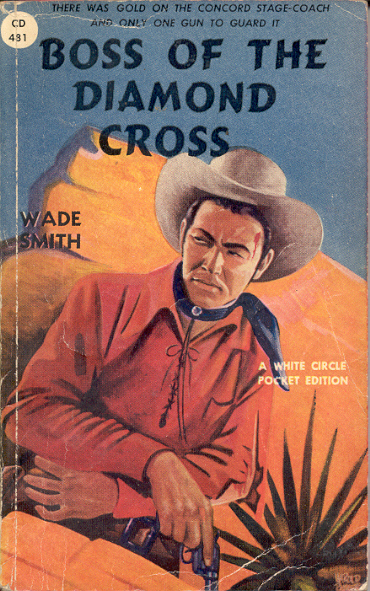 The final seven were published after the White Circle imprint ended in 1952. But the publishing was haphazard. 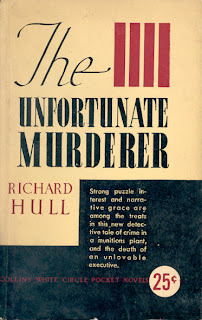 In addition to missing the first and third books the others were published out of order. 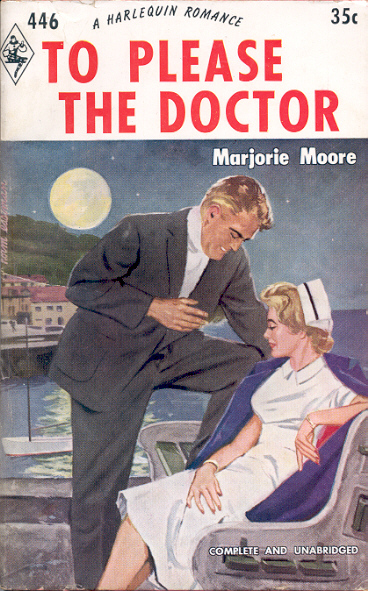 The second of four Harlequin editions of Thomas H. Raddall novels is The Nymph and the Lamp, his fourth, published by McClelland & Stewart in 1950. This is the first contemporary (1920s) novel after three eighteenth century historicals. 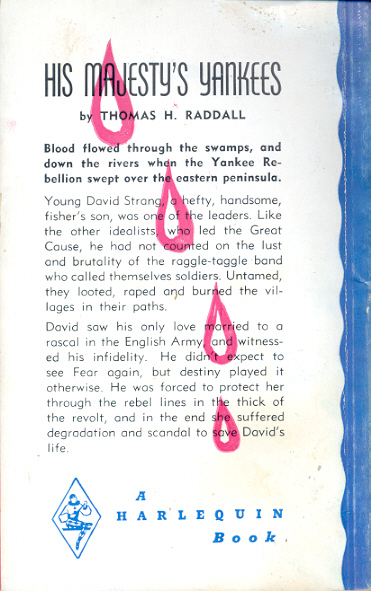 Unlike the first Raddall title from Harlequin, Roger Sudden, there is no notice that the work is abridged. 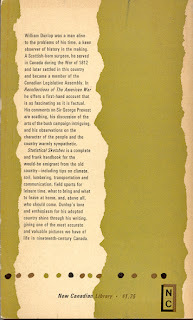 But a comparison with the New Canadian Library edition published in 1963 shows the Harlequin has less pages, less lines per page and less characters per line. 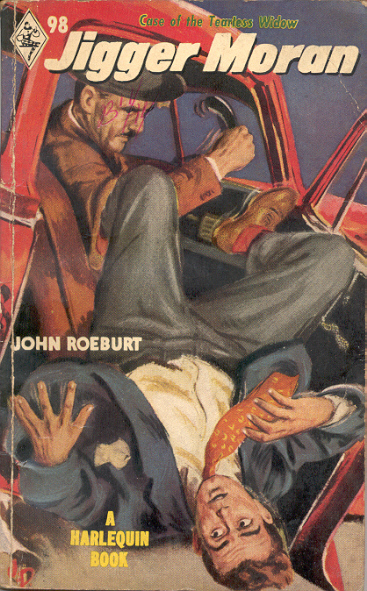 The full effect is about 15% less novel. 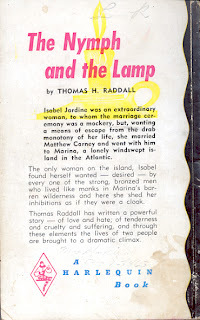 I haven't read the book but my guess is that the heroine depicted on the Harlequin edition isn't what Raddall had in mind. 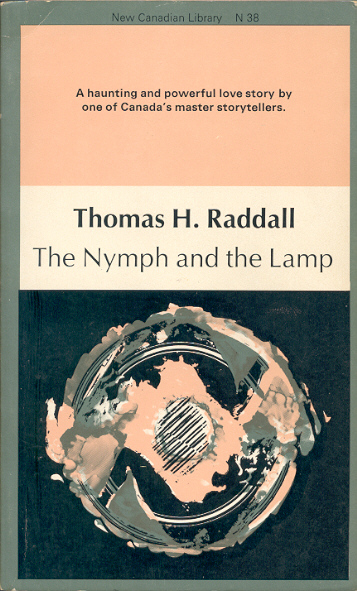 The book is available from the Halifax publisher Nimbus. 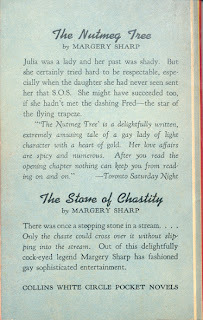 Some 15% of the 477 titles Harlequin Books published between 1949 and 1959 were changed for their edition. The publisher with the most changed titles is Mills & Boon - 20 of the 50 that Harlequin reprinted in that period. 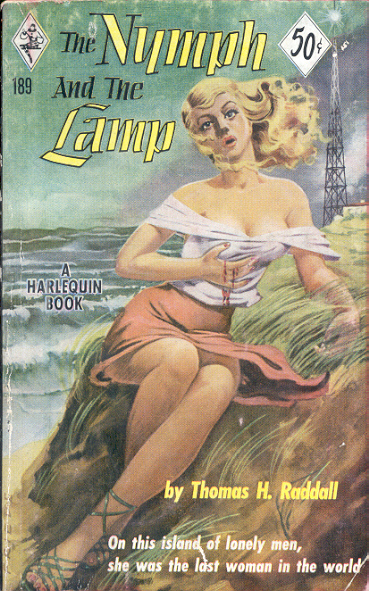 Unlike Harlequin's other title changes the Mills & Boon ones were noted on the copyright page. Here are two. 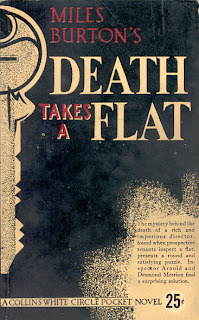 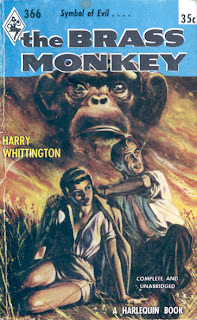 Surprisingly few (32.4%) of the cover illustrations for the White Circle paperback imprint from Toronto publisher Wm. 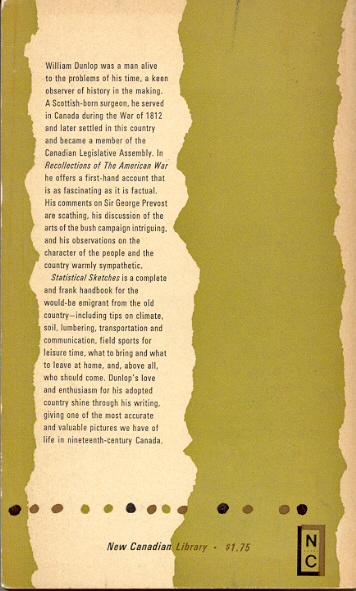 Collins Sons & Co. Canada are signed. 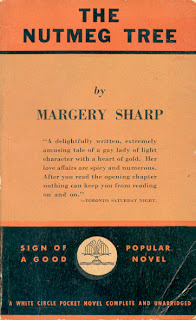 Brigand's was a printer at 160 Richmond Street West in Toronto. 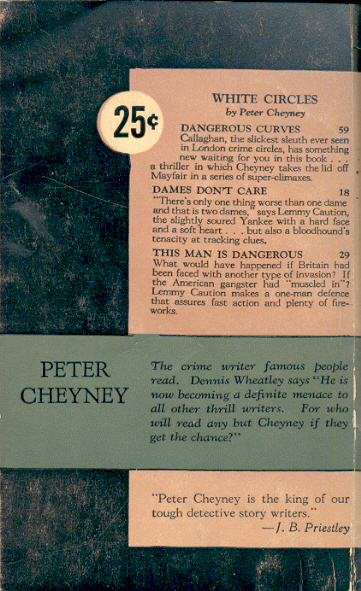 Here are Rayner's first three White Circle covers, all from 1950. In the first of this series of posts I told the story of the 32 photograph covers in Wm. 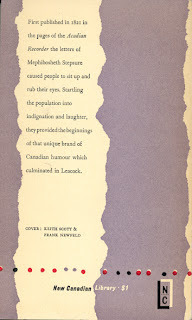 Collins Sons & Co. Canada's White Circle imprint. 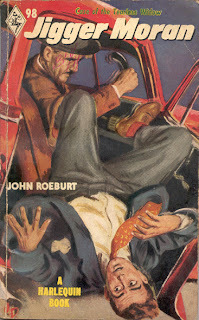 So far I've shown 15 covers. 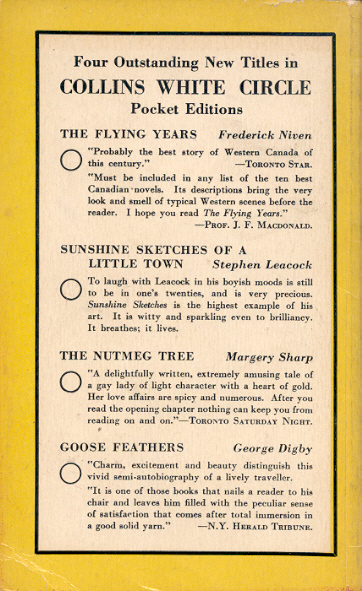 Here are the next five, all from 1948.